John signed to Permanent Records but unfortunately this proved to be a far from happy and permanent arrangement. However, the album is confident and extensive use was made of synthesizers and samplers on the fierce disco beat Deny This Love which achieved a good amount of air play. More subtle blends and instrumentation were evident on The Apprentice, Send Me One Line and the vastly underrated The Moment (The Moment is only available on the CD version). Look At The Girl is a song about John’s now grown up daughter Mhari and Patterns In The Rain features John’s acoustic guitar playing for the first time in many years. Income Town is apparently live from The Green Banana in Toronto but this is in fact dubbed. Released on 9th September 1991. This album was more characteristic of John’s style and the synthesizers were less evident. 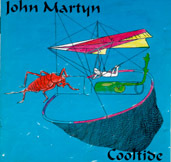 All John’s trade marks are present, strangled duck vocals, subdued beat with excellent instrumentation. Tremendous bass lines featured through Jack The Lad, the up tempo The Cure and the atmospheric title track. An early insight in to the development of this track was later to be released on the Live At Bristol 1991 album. Father Time is a jazz orientated track and different from the other tracks on the album in that respect. Emotion and heartfelt vocals are particularly evident on Call Me. An album which many fans return to on a regular basis. John toured during September and October. An excellent release on 1st March 1992 from the BBC archives (on the Windsong Label) featuring 9 tracks recorded at Glastonbury in 1986. John turns in a great performance full of passion and power. John’s guitar playing is a feature of the album and Alan Thomson’s bass rhythms are superb. The album is well worth buying and in particular features an incredible extended version of Outside In, a real classic echoplex extravaganza that I never tire of listening to. A tremendous performance, an excellent recording and a live album that rivals if not betters Philentropy. Released 1st August 1992 Couldn’t Love You More consisted of re-recorded versions of classic tracks with guest appearances including Phil Collins, David Gilmour and Gerry Conway. Permanent asked for John’s permission to release this album whilst John and Jim Tullio were working on the No Little Boy album. Couldn’t Love You More is in fact the session tapes for No Little Boy. John refused permission, but Permanent released the album anyway! John and Jim Tullio were furious. The mixes were clean, sweet and sometimes dull and boring. There is no sign of the spontaneity that John still craves today. Saxophone is overpowering in places and the backing vocals make the album super smooth – not the John Martyn sound that fans know and love. 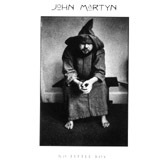 The songs are ‘John Martyn’, but the ‘sound’ is not. 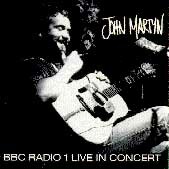 The album that John wanted to release was No Little Boy which was released in 1993. 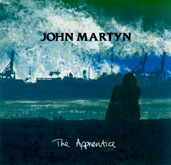 “This album could, quite safely, be considered The Best of John Martyn”, read Permanent Records press release. John disagreed as did most of his established fan base. A small number of the LP version has an incorrect track listing. The record has ten tracks but the cover gives the same track listing as the CD ! This was the last album vinyl release on the Permanent label. 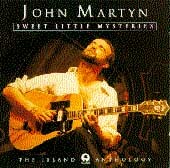 Sweet Little Mystery was released as a 7 inch single and a CD single. Lonely Love was also released as a CD single. No Little Boy was released on 23rd July 1993. John was unhappy that Couldn’t Love You More had been released. John was in fine voice throughout and Levon Helm, Phil Collins and Andy Sheppard all featured. Some songs were slightly remixed to bring more character to the songs but most songs were completely overhauled. Some of the tracks were deleted and four songs were entirely re- recorded, I Don’t Wanna Know, Sunday’s Child and Bless The Weather featuring John Giblin on bass, and a excellent new version of Just Now featuring Levon Helm on harmony vocals. The end result was a vastly superior album, much more in balance and John was happy. 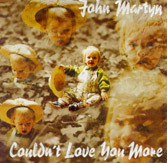 It was a lot to expect from his fans to buy an album with such a similar content but many did and most prefer John’s reworking of Couldn’t Love You More to the original. However, there was no doubt that John’s credibility had been harmed by the release of two very similar albums. Was John correct to rework the material ? What were Permanent thinking of to release an album without John’s approval ? This was the end of the road for John and Permanent. So no Pascanel, Rock Salt And Nails, and no Hole In The Rain! Released on 6th June 1994. Sweet Little Mysteries: The Island Antholgoy is an excellent overview of John’s music with Island, which spans the greater part of his career. Noticeable by their absence are any songs from John’s first four albums – a little strange ! Surely there was room for Parcels, Cocain, Dusty etc – apparently not. A well put together package and an excellent introduction to John’s music.